A new study has shown that little weight gain during pregnancy may be beneficial for the child, for shorter women who are more likely to deliver low birth weight babies. Gaining about 490 grams of weight every week during pregnancy reduces the risk of delivering a low birth weight baby in short-statured women by almost 63 per cent, the study says. Short-statured women generally have a higher chance of delivering a low birth weight baby, which is a leading cause of death and illness in neonates. In addition, low birth weight babies are at higher risk of developing diabetes, hypertension and metabolic syndrome when they become adults. UNICEF estimates that 20 million babies are born with low weight every year in the world and that India accounts for nearly 8 million or one third of this global burden. 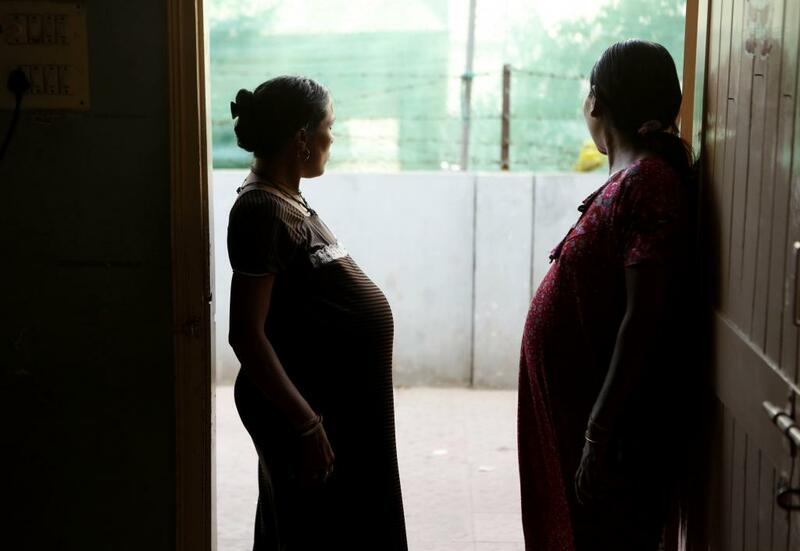 For the purposes of this study, doctors enrolled 1,254 pregnant women in the age range of 17 to 40 years from amongst those visiting the antenatal clinic at the St John’s Medical College in Bangalore for routine checkup. After recording their height, they were categorised into two groups. Those below a height of 152 cm were classified as "short-statured" and those above as "non-short". During the course of their pregnancy, their weight was recorded every week using a well-calibrated digital balance. When they delivered, the doctors noted the height and weight of their baby. This data was analysed and it was found that improving weight during pregnancy in short-statured women may be beneficial forthe birth weight of the offspring. The researchers found that putting on weight in the third trimester, between 6 to 9 months of pregnancy, in particular, had a significant impact.The number of low birth weight deliveries dropped from 22 per cent to 10 per cent in the short-statured group as against from 11 per cent to 6 per cent in the non-short group. Short-statured women are thought to be more likely to deliver weak babies due to insufficient nutrition reserves that reduce their availability to the growing fetus. Also, they are thought to be prone to deliver small-sized babies as they have a short pelvic and uterine volume. “Poor nutrition of the mother is thought to be an important reason for having a low birth weight baby. But, we do not know how effective nutritional supplementation during pregnancy would improve birth weight. In this backdrop, this study is important”, Ramesh Agarwal, Professor in Department of Pediatrics of the All India Institute of Medical Sciences, New Delhi, who is not connected to the study, told India Science Wire.